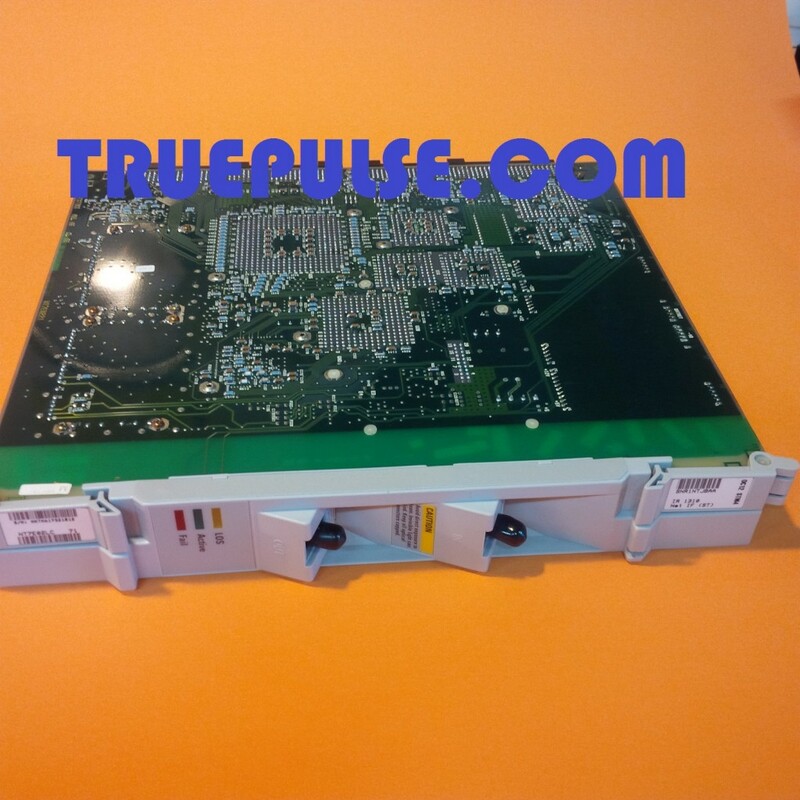 TruePulse would like to buy NT7E05AF, NT7E05AG and NT7E05AH for the Nortel S/DMS TransportNode OC-3/OC-12 system. It is possible that you may be familiar with these as Ciena NT7E05AF, Ciena NT7E05AG and Ciena NT7E05AH. The OC-12 VTM circuit pack can perform bandwidth management at the STS-1 level and at the VT1.5 level. To perform bandwidth management, the circuit pack must perform both synchronization and switching. The synchronization function aligns the STS-1 and VT signals so that the ANSI Switch ASIC can perform time slot management. Alignment enables the ANSI Switch ASIC in the circuit pack to locate the constituent STS-1 or VT time slots of the signals received at its input ports. Switching at the STS level requires STS-level synchronization; switching at the VT level requires VT-level synchronization. Synchronization means that the received SONET signal must be aligned to the system clock. STS-level synchronization is achieved by performing STS pointer justification on the STS synchronous payload envelope (SPE) extracted from the received SONET signal. VT-level synchronization aligns the VT frames within an STS-1 to the 2 kHz system clock. This alignment requires VT pointer processing on each VT1.5. To perform switching, the OC-12 VTM circuit pack contains a central STS-1 and VT cross-connect located in the ANSI Switch ASIC. The ANSI Switch ASIC has three bidirectional STS-12 ports and is fully nonblocking. Any VT1.5 at any add/drop port can be connected to any VT1.5 at any line port. TruePulse buys and sells decommissioned Nortel optical modules. In addition to looking for other S/DMS TransportNode OC-3/OC-12 cards, we are also looking to purchase cards for other Nortel optical platforms including the S/DMS TransportNode OC-48.